Since 2005, blogging has become a significant trend amid Egyptian young people. Among the many blog entries published online every day, some stand out for their innovative literary features and original contents. So far, a number of bloggers, such as Ahmed Naji, Mohammad Rabie, Nael Eltoukhy, Youssef Rakha, and Ghada Abdel Aal have not only received big popularity within the online community but have also gained the attention of independent and mainstream publishing houses, and have eventually made their way to the landscape of Egyptian literary circles. For others, like Ahmed Abdallah, Amr Ezzat and Abir Soliman the blog has functioned as a springboard to enter the field of cinema and journalism. There is still a number of bloggers, instead, who continues to be active only in the online sphere, under the veil of anonymity. Despite that fact, blogs seem to attract critical attention only for their political significance, or when turned into a commodifiable form, such as books, anthologies or magazines. After more than 10 years from their first publication, these online texts still raise important questions such as: how can a blog be turned into a work of literature: in other words: what it is that makes these blogs so compelling to read? And what do these texts contribute to Egyptian (autobiographical) literary production? 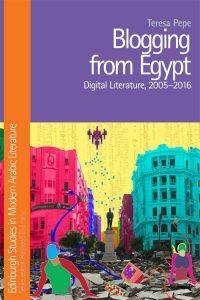 Blogging from Egypt: Digital Literature, 2005-2016 is an attempt at replying to these questions, building on a research sample of 40 Egyptian blogs written between 2005 and 2016. The literary analysis of the blogs is illuminated by the testimonies offered by the blog authors, with whom I have met after the events of the 25th January revolution. 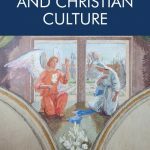 Blogging from Egypt shows that the concept of ‘autofiction’ may help us to grasp the literary pleasure of reading blogs, and therefore their artistic value. The term was coined in the 70s by the French critic and writer Serge Dubrouvksy to define his novel Fils (1977). It has later expanded to define a new global literary trend, experimented by authors such as Elena Ferrante, Karl Ove Knausgård and the 2014 Nobel Laureate Patrick Modiano, that consists in writing novels told in the first person (or the third person) in which the main character carries the same name as the author and many autobiographical traits. In Egyptian blogs, just like in these autofictional novels, identity construction is characterized by two main tendencies: on one side, there is a strong quest for truth, which consists, not in factual accuracy, but in the exploration and exposal of one’s true emotions. On the other hand, one striking recurring theme is the subject’s tendency to project oneself into his/her own life, in the future, his/her propensity to imagining things. Thus, the main pleasure of blog reading, and therefore, the literary quality of some blogs, lies, besides the usual element of literariness, in the indiscernible mix of fiction and non-fiction in the narration. It is this uncertainty and confusion that pushes the reader to take an active role in the narration to inquire whether the person behind the screen corresponds to the real author. Blogging from Egypt demonstrates that in a period of profound social and political transformations, Egyptian bloggers have combined autofiction with the hybrid, ephemeral, episodic and multimedia nature of the blog to expose their own life stories, to connect with their peers, and push the boundaries of what can be exposed in public in Egyptian society. The book draws a connection between these online texts and the political uprising of January 2011. In addition, it reveals how these blogs continue to have an impact on contemporary Egyptian culture, despite the tragic aftermath of the Arab Spring. Teresa Pepe is Associate Professor in Arabic Studies in Department of Cultural Studies and Oriental Languages at the University of Oslo. Her research interests span across modern and contemporary Arabic literature, media studies and popular culture. 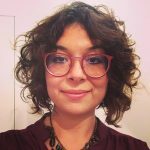 She has published several articles in Oriente Moderno, Journal of Arabic and Islamic Studies and LEA- Lingue e Letterature d’Oriente e d’Occidente and occasionally she blogs on the Egyptian platform Mada Masr.